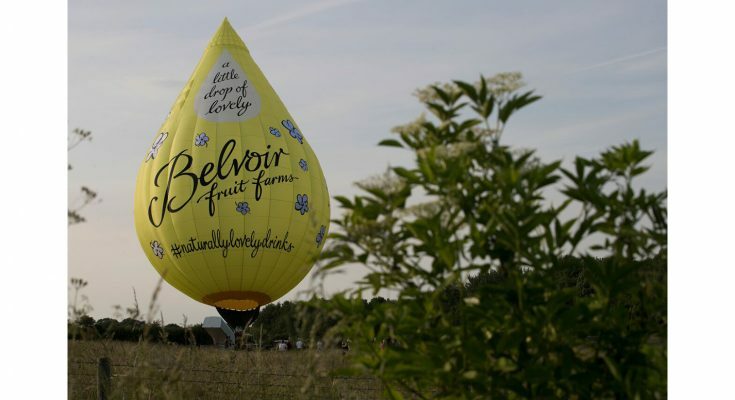 Belvoir Fruit Farms, makers of the Belvoir brand of fruit cordials, is backing its Little Drop of Lovely marketing campaign with a hot air balloon which will tour UK food and countryside festivals, including Bristol Balloon Fiesta, and selected supermarkets. 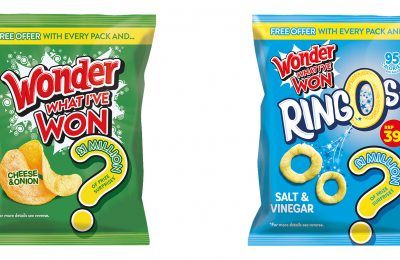 Belvoir cordials has worked with London-based creative marketing agency whynot! Thinkpeople to design and build a bespoke droplet-shaped hot air balloon and a support mobile sampling area, where consumers can enjoy a drink of Belvoir’s products while watching the Balloon take flight. The Little Drop of Lovely campaign will be visiting 10 festivals this summer and 12 Tesco stores for outdoor sampling. A special in-store neck collar on bottles of the elderflower cordial will carry a competition to win a luxury weekend getaway to the Bristol Balloon Fiesta, with flights in the balloon. Social media will support and celebrate the activity. The balloon launched on the June 14 2017 from the Elderflower fields at Belvoir Fruit Farms, Bottesford, Leicestershire. TAGBelvoir competition competitions event marketing experiential festivals food festivals fruit non-alcoholic drinks on-pack on-pack promotion prize promotion prize promotions retail sampling shopper shopper marketing soft drinks supermarkets Tesco traditional products whynot!